Useful and elegant, this well-balanced, three-counters calendar watch indicates the day, the time in 24h format and the date. The vintage style is accented by the double domed mineral glass and hand-applied indices. 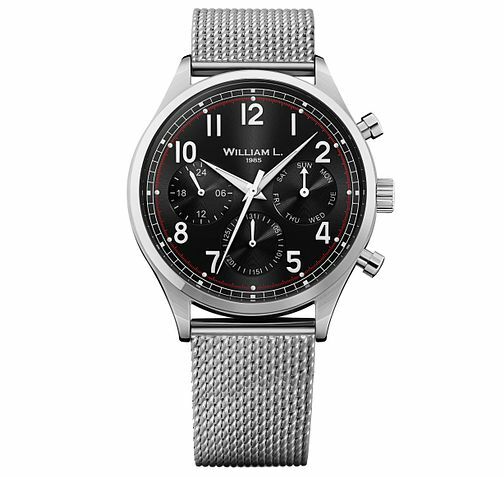 This model features a stainless steel case, black dial and stainless steel mesh bracelet.